NOTE: You’re now able to sign up for my quarterly newsletter by submitting the form at the bottom of this post. If I were to start today’s post by saying, “Boy! Are men and women different!” you’d probably shake your head, say “What’s new?,” and quit reading. I wonder how many books and articles have been written on the subject of differences between the genders. More than I could afford, even if I had the desire to buy or read them. Besides that, I–like you–already have a pretty adequate idea about gender differences. In fact, the only thing I’ve learned in recent years came from a book called Love and Respect, which points out that women are more desperately in need of love, whereas men feel a greater need for respect. I say “the only thing,” but the past few months I’ve become aware of something else just from being married to my wonderful wife. Men and women are apt to have very different priorities. It’s no wonder so many couples fight about money. Fortunately, Kathleen and I don’t. And a while back we decided to put an allowance for each of us in the family budget. We could spend it without feeling the need to justify our purchases. That’s been great. Interestingly, though, both of us have ended up saving most of our allowance for larger purchases. Over time I was able to add several new components to our stereo system–something we both benefit from–and a few extra gadgets for my home recording studio. More recently, I started saving for incidental expenses in “indy (independently) publishing” my soon-to-be-released novel, Rosa No-Name. Little things like a professional cover and proper editing. 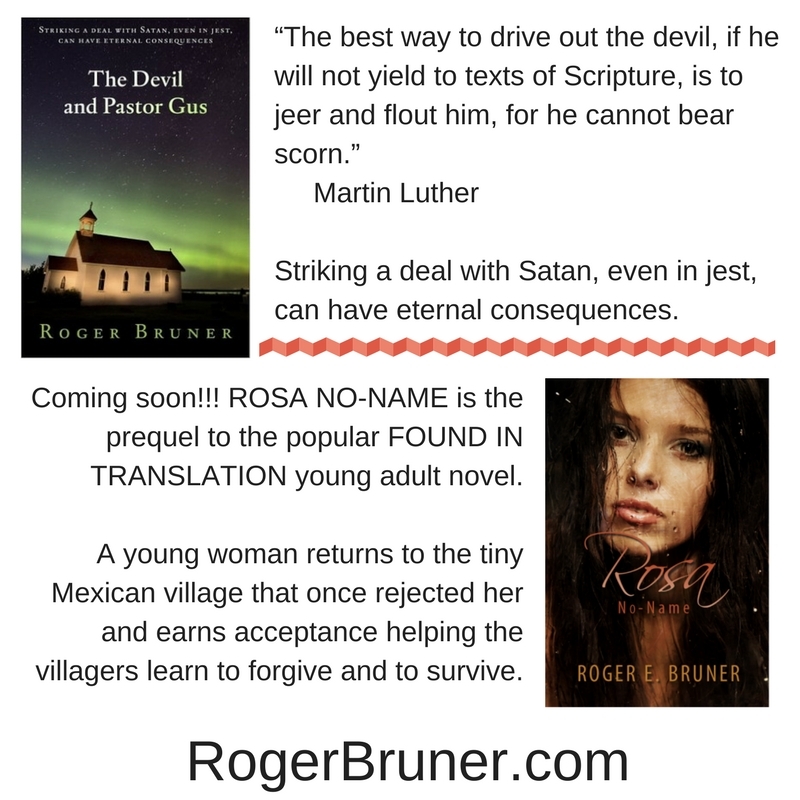 Since Kathleen loves Rosa No-Name more than my other three published novels or the eight unpublished ones, she benefits from this project, too. A few weeks ago Kathleen told me how much she’d saved of her allowance over no telling how many months. And she announced she was saving for a new refrigerator. She had very specific criteria in mind: a pull out freezer drawer at the bottom instead of a standard top door freezer, glass or plastic shelves rather than wire racks, see-through drawers, and a traditional door rather than the currently popular French door. Ice maker and water dispenser weren’t necessities. Something slightly bigger than our old nineteen-square-foot fridge would be desirable, but of course it would still have to fit in the available space. 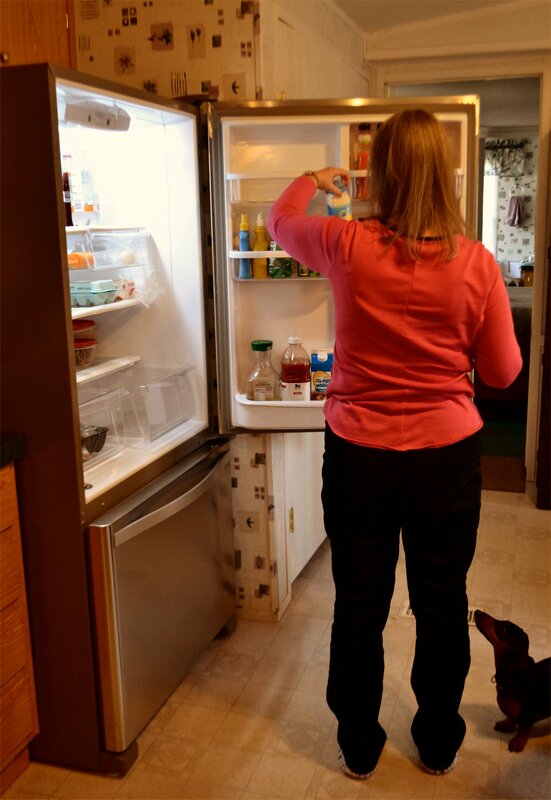 This was her project, so–even though I thought it was silly to want to replace the old fridge when I’d only had it fifteen years and it was still working well–I let her do the searching. I won’t bore you with details, but I finally got in on the hunt, and we found what looked perfect except there appeared to be no more than a quarter of an inch gap between the height of the one we wanted and the bottom of the cabinet over it. Should we take the chance? As the one who’s sometimes more practical, Kathleen arranged to have a coworker who’s good with his hands come over and cut off the bottom-front piece of the cabinet. She called the store that had offered the lowest price–a local store, not a big chain store–and arranged delivery this past Thursday. This was a purchase we are both benefiting from. Perhaps the difference in priorities between Kathleen and me works out to our advantage more often than we’d realized before. What about you? Is there a member of the opposite gender in your life whose priorities differ from yours? Do your differences cause problems or have you learned to work around one another’s priorities and preferences? How about leaving a comment?